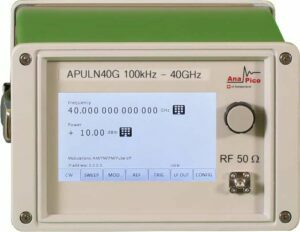 The APULNXX provide an accurately levelled output power range and high spurious suppression. and fine frequency and power resolution. with programmable patterns, and phase modulation. signal directly as reference. The compact unit allows full front panel control via touch panel display.